Ranjit Sandhu is an expert cataract surgeon and has a special interest in small incision sutureless cataract surgery in patients with diabetes and uveitis which require careful monitoring before and after the surgery for optimal visual results. She is experienced in the use of customised premium lenses for correction of refractive errors enabling spectacle free near, intermediate and distance vision. 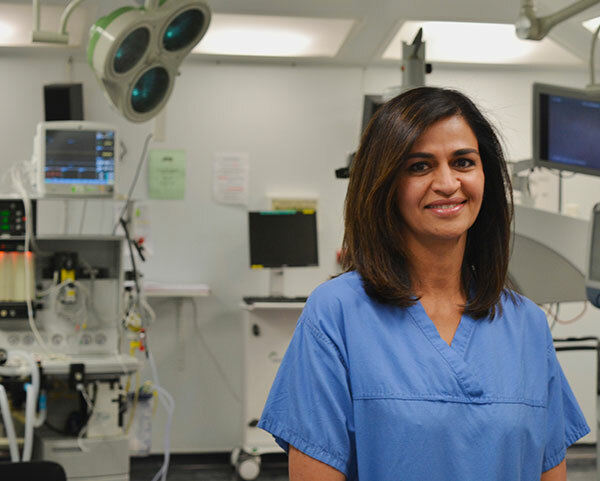 Her specialist interest includes Medical Retina which includes various retinal conditions such as age-related macular degeneration, diabetic retinopathy and retinal vein occlusions. She is experienced in the use of immunomodulatory therapies for the treatment of inflammatory eye disease (uveitis) and laser treatment for diabetic eye disease. One of her areas of expertise includes intravitreal therapies such as Lucentis, Eylea, Avastin, Ozurdex, Illuvien and Jetrea for a wide spectrum of retinal conditions.